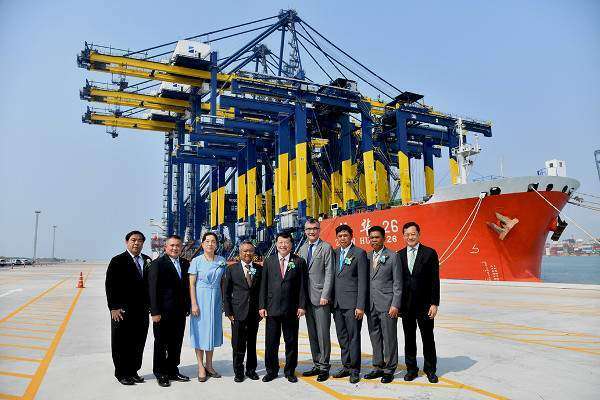 Hutchison Ports Thailand has officially opened its Terminal D facility at Laem Chabang Port, Chonburi. Equipped with remote control technology, Hutchison Ports claims it will boost operational efficiency and productivity. All of Terminal Ds quay cranes and yard side rubber tyred gantry cranes will be remotely controller. 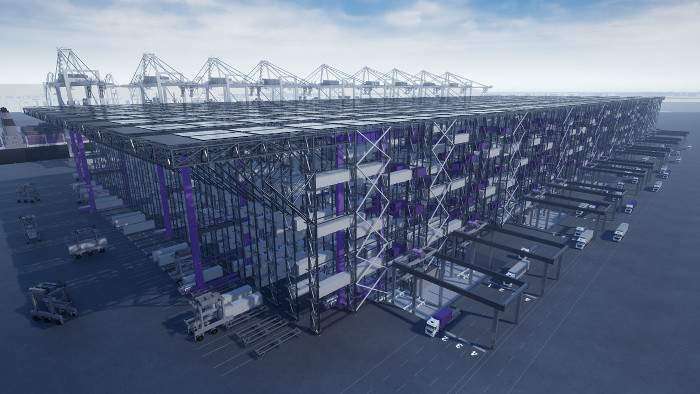 It will also be one of the largest and most advanced deep sea container terminal in Thailand, with the capability of handling some of the world’s largest ocean going container vessels currently in operation. An initial phase of Terminal D is now officially open for operations, offering a combined total of 400 meters of berth, 3 of the world’s largest quay cranes and 10 supporting rubber tyred gantry cranes. A further batch of 3 quay cranes and 10 rubber tyred gantry cranes arrived on 29 January 2019 and will be brought into operation over the course of the coming months. 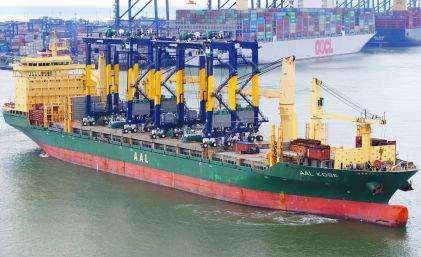 On full completion, Terminal D will operate a total of 1,700 meters of berth, with 17 quay cranes and 43 remote control rubber tyred gantry cranes all using remote control technology, and adding an additional 3.5 million TEU (twenty-foot equivalent unit of container). According to Hutchison Ports, this will increase the container handling capacity at Laem Chabang Port by approximately 40% to 13 million TEU. In November last year, Hutchison Ports Thailand welcomed the largest ever container vessel to berth in Thailand by being the first terminal operator in the country to handle a container vessel with a length overall of in excess of 350 meters when the Ocean Network Express’s ONE COLUMBA called at Terminal D.